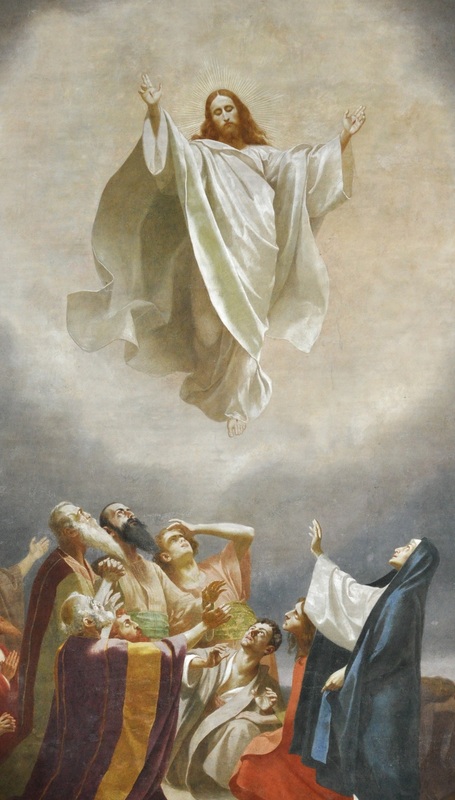 The feast of the Ascension seems to be more about the apostles going out than Jesus going up! As Jesus goes to his Father, the message is for us now, and to be witnesses to him, sharing what we have received, and heard. Witnesses to a road accident can often contradict each other. They get mixed up in what they saw or heard. Or they may have only glanced at the event and moved on. We can be witnesses of Jesus who stayed with the event, not just with a glance. We have seen and heard the best story ever told, and the most influential life ever lived. We witness to Jesus in prayer, in reading the gospel and in service of others in love. Prayer means being in touch with God who is reaching out to us. The gospel is what feeds us, a daily opening to the words and deeds of Jesus. Loving service brings us to witness the care of God as we give and receive care. This is what we give to the ascended Lord and receive from him. The word of God is the divine word in human words. In our work for him, God is linking heaven and earth, and we are sharers in his divinity as he is in our humanity. Far from being the absence of Jesus,the Ascension is his presence in a new way among us. Looking up is a religious gesture. Look up to the skies sometimes this week and make a favourite prayer. This entry was posted in Gospel of Mark, Gospel Reflection, Liturgy Resources, Prayer Resources, Scripture, Year B and tagged Donal Neary SJ, Gospel Reflection, Gospel Reflection for Feast of the Ascension, Jesus, May 13th 2018, Sunday Gospel Reading and Reflection, Year B.